Nydri Village on the Greek island of Lefkada has got everything you're looking for in a charming vacation locale and Crystal Cruises can take you there to experience it all. The quaint fishing village is located on Lefkada's eastern coast and offers visitors both stunning natural and manmade beauty ranging from the vibrant Bay of Nidri and secluded waterfalls to inviting restaurants and bars serving authentic Greek dishes as well as cuisine inspired from special places all over the world. The destination's history and culture also stand out. For example, visitors to the town's archaeological museum will encounter relics from the site of Hirospilia, including artifacts dating back to the Neolithic era, Bronze and Classical ages. What's more, German archaeologist Wilhelm Dörpfeld concluded that the island of Lefkada was Homer's Ithaca and that the palace of Odysseus was located just west of Nydri. However, the entire region is worth exploring as neighboring islands such as Skorpios and Sparti were once owned by shipping magnate Aristotle Onassis and have developed a reputation among the world's elite travelers as the ideal place for a secluded stay under the pleasant Ionian sun. 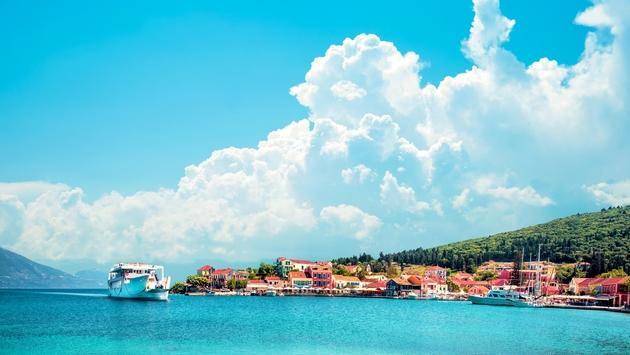 The best way to experience Nydri Village and its surrounding allure is on a Crystal Esprit voyage exploring the Greek Isles, Croatia and Montenegro in 2019 or 2020. For more information on Crystal Cruises, check out their blog here. A superior standard of service is at the heart of the Crystal Experience, delivered by the most highly awarded staff at sea.